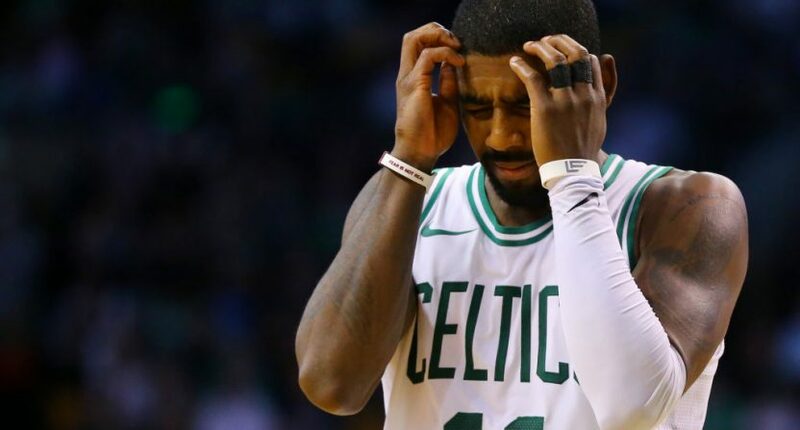 Kyrie Irving apologized for Flat Earth controversy, saying "I was huge into conspiracy theories"
One of the most bizarre stories/controversies from the past year in sports has been Kyrie Irving’s proclamations that several centuries of scientific endeavor and observation may be wrong and the Earth just might be flat. Irving shocked everyone when he first came out with his Flat Earth conspiracy theories and we all thought he was joking, but then he weirdly kept it going, even doubling down on his comments and definitively saying it was fact. But then he said he was just trolling people. Or was he? Whatever the case, the damage was done because middle schoolers began to actually follow Irving back to the stone ages and believe him. But now, Irving has apologized for all the trouble he has stirred up over the last year with his remarks about the shape of the planet that we call home. He even attributed it to falling down a rabbit hole on YouTube and getting wrapped up into conspiracy theories, which opens up all sorts of other questions on what Kyrie actually thinks about the universe. So we can finally put this all behind us, right? Well, here’s the thing – he never admitted that the world is actually round. He apologized for creating a distraction and for using his voice and platform and such a weird way and disrupting grade school science curriculums all across the country…. but he never definitively stated that the earth is round. Even after all of this, I really don’t think anyone actually knows what Kyrie believes about Earth, at least not until Elon Musk can take him up into outer space so he can see for himself. He does have a firm post-career plan, though. We can only hope Kyrie finally realized that it is not great to be known for “the idiot who may actually think the earth is flat” instead of “the guy who hit the game-winning shot in Game 7 of the NBA Finals and won the first ever championship for the Cavaliers.” Perhaps that’s why he’s trying to finally put a cap on this before the new NBA season begins. Being one of the best guards of his era should be enough, he doesn’t also have to be the Alex Jones of Science. Let’s just hope he didn’t spend his summer binge-watching Ancient Aliens or else it could be another long year.